Jami was suffering from plantar fasciitis, a common condition of the foot that usually causes pain in the underside of the arch and the heel. After seeking help from other health professionals and still suffering with her condition, Jami sought out to research treatments that were not only specific for her condition, but one that would be effective. Even though Jami lives in Waynesboro GA, Jami found Dr. Mark Huntsman at Georgia Clinic of Chiropractic in Augusta GA, and with his customized treatments tailored for her plantar fasciitis, she is now pain-free and has recommended Dr. Huntsman to her friends and family. 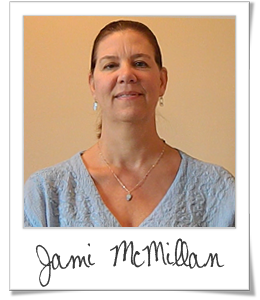 "Hi I’m Jami McMillan from Waynesboro GA. It seems like a long drive to come from Waynesboro to Evans but it’s been well worth it. I looked for someone to help me with my plantar fasciitis and heel spurs that I’ve been suffering with for over a year. I found Dr. Huntsman at Georgia Clinic of Chiropractic and I’ve had tremendous results in just a month. I’ve recommended him to several of my friends and family and my husband is coming to see him and I can’t say enough about how much better I feel in just a month of work with him. I just can't say enough about Dr. Huntsman and the kindness they’ve showed me when you come in here and I hope everyone has as good results as me."